Can Dogs Eat Edamame? Is Edamame Good Or Bad For Dogs? Today’s question: can dogs eat edamame? Is edamame good or bad for dogs? Scroll down for detailed answers. As a dog owner, you may be pressured into offering your dog more human food than you anticipated prior doggie adoption. As a puppy parent you may have the ideas of feeding your dog only dog chow from a reputable source-possibly even organic and fair trade and carried in a recycled bag. However, you may be inclined to offer your dog more and more human food as time goes on. Your pup would eat almost anything; s/he would simply stare at you until you give him a bite of your food. That usually applies to any foods. Dogs might just be curious or they simply love treats! Dogs may be a little bit of both. Dogs would love to see how you enjoy a food and why. Dogs also love to eat and love their treats! 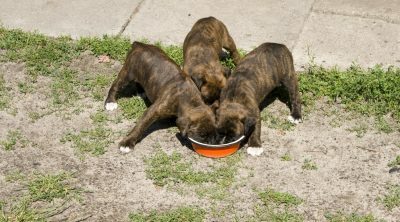 Indulging your dog in a bit of human food as a treat is generally safe, although you must stick to healthy foods that are without pits, pulps, seeds, skins, and toxins. Researching the foods before offering to your dog is incredibly important, as is speaking with your vet. Edamame is a food growing in popularity among those wishing to improve their diets. Even though edamame is quite common in Asia, you might think of it as something eccentric, especially for your furry pet to have. Dogs are generally associated with eating simple foods-dog food, occasional meat and perhaps occasional peanut butter or a cookie. Dogs and their owners have been experimenting with new foods, flavors, and textures in an effort to expand their palate and incorporate vitamins and minerals into their diet. Can dogs eat edamame? Does edamame contain toxic substance or pose a choking risk or health hazard for your dog? Yes, your dog can eat this flavorful Asian delicacy, and no, your dog should not suffer any health emergency from the indulgence. Let’s find out more about this food. Yes, you can give your pooch edamame in moderation. This one-of-a-kind food is indeed delicious and you may cook it in various ways. Chinese eat it as a snack or use it for preparing tasty desserts and rice cakes. Whenever you are cooking edamame, you may save some for your dog, he will surely enjoy it. However, make sure that the edamame is not seasoned before serving. Salty or peppery edamame is not recommendable for your dog. Dogs are also allergic to onion and garlic. Seasoning can cause such adverse reactions in dogs, that no matter which food you are offering to your pup, the seasoning is usually the reason for reactions. As long as you opt for flavor-free edamame, your dog will relish the snack immensely. Dogs usually love to have a bit of the food you are eating, adding in a simple piece or two of edamame to their treat stash or to the dinner plate will surely please your dog and offer some health benefits as well. The bottom line on edamame is that you may give your furry friend some edamame the next time s/he is begging by the table. You may also prepare a special, small batch to include in the food bowl on occasion. Despite the ‘al clear’ on this food, remember not to make table feeding a habit. Treats should never exceed your pup’s usual diet. Even though your pup might be utterly enthusiastic over edamame snacks, they might embody a couple of side effects. Whenever you introduce something new or unusual into your dog’s diet, you should carefully supervise his reaction. This way, you can see whether that food has a negative impact in the digestive tract or not. Just as humans react differently to food, the same applies to dogs. Offering bits of edamame little pieces at a time will allow a slow introduction to the food for your dog. 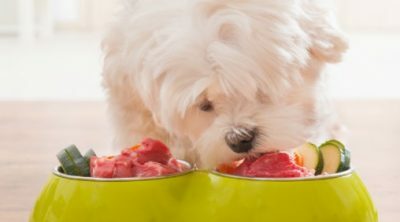 Offering bits of food will allow you to gauge whether your pet enjoys this food, whether there are any reactions to be concerned about and how often the food may be given. When given a small amount of edamame, your dog should eat the bit without much hesitation, and not have any gastric upset afterward. 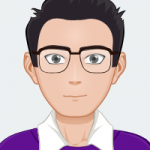 If your dog is eating the edamame happily and you do not discover your dog has been sick, this food may be gradually increased in serving size, and then offered occasionally as a treat. Always verify with your vet that the food and the serving size are appropriate for your dog and his/her breed. Edamame is loaded with fiber. Fiber rich foods are usually a good thing-providing healthy vitamins and minerals, while improving the digestion tract. Fiber also may prevent your dog from over eating or feeling excessively hungry. However, foods that are high in fiber cay make your dog gassy with upset stomach. This is why you need to be very careful for observing your dog’s behavior after feeding him edamame. Stomach upset is not comfortable for humans, and surely not comfortable to your dog. In the event your pup seems to react negatively to the new snack and suffer from diarrhea, make sure to offer your dog water and let him/her rest. If you notice that the problem persists, then you should take your pet to the vet. Edamame is a young soybean that has been collected before the beans have had a chance to harden. You can buy them in the pod, shelled, frozen or fresh. The vitamin content of edamame is great! Humans surely can benefit from the large amount of vitamins and minerals offered for relatively few calories. The food is also easily prepared and added into most dishes. As far as the human companions, dogs technically do not need the extra vitamins to survive, but adding vitamins to the diet of your dog surely will not hurt him/her when offered through a non toxic food source. Some dogs may have health issues that could benefit from the extra vitamins edamame provide. 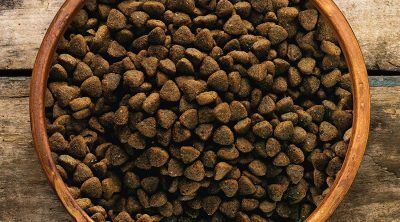 For example, dogs that need extra iron and fiber may benefit from this food more than dogs that are otherwise healthy. Edamame is gluten-free and contains few calories. With more and more people moving towards a gluten-free diet, there may be more dogs being pushed towards a gluten free diet as well. The edamame offers a nutritional power pack without the hassle of gluten. As seen from above, a small serving of edamame contains nice amount of fiber, about the same amount found in 4 cups of steamed zucchini or 4 slices of whole-wheat bread. It contains as much protein as it does carbohydrate. Dogs need fiber and protein to build muscle, keep energy levels high, and have a healthy digestive tract. The healthy digestion of your dog also raises the immune system, keeping sickness and disease at bay. Moreover, being a plant food, edamame has a good amount of iron (as much as a 4-ounce roasted chicken breast). Iron will ensure your dog has strong, healthy blood counts as well as proper circulation. Being rich in healthy minerals and proteins that your dog needs, edamame is a great occasional snack for your pet to chew on. As this soybean is also rich in iron, it will increase your dog’s energy and make him/her eager to play. The calcium and magnesium will improve your dog’s bone health and aim at preventing bone-associated health problems from occurring. 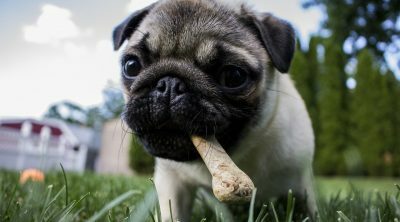 Many dog owners may not realize that the bones of their dogs have the sensitivity and risks of erosion that the bones of humans do. Bone disease, breakage and osteoporosis can affect dogs just as much as humans; therefore, adding calcium to your dog’s diet is important if the breed is susceptible to bone loss. However, you should bear in mind that even though it is a healthy treat, edamame is still a human food. You should not feed edamame to your dog in large portions and on a regular basis. All human food offered to your dog should be given on occasion only. Your dog should also have been given small amount to ensure there is not a sensitivity or risk of allergic reaction. Every dog owner knows how difficult it is to resist offering their furry pets food they are eating. 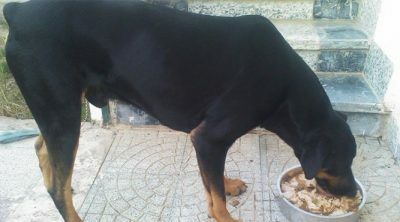 However, before feeding your dog any human food, it is advisable to make sure that it is beneficial for your pet. 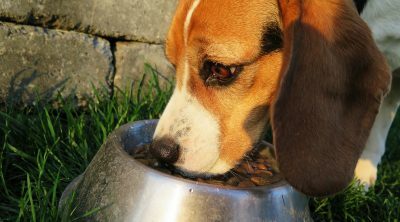 You do not want feed your dog anything that presents harmful effects. Feeding your pup leftovers is not always a good idea. Leftovers count as treats, which should not exceed 20 percent of your pet dog’s diet. Also, your leftovers might include harmful foods for your dog. Remember, you should not feed your pet chocolate, onions, garlic, raisins, grapes, and salted nuts. Leftovers may be offered to your pup or mixed in with his/her food on occasion, but only after any potential hazards have been cleared first. 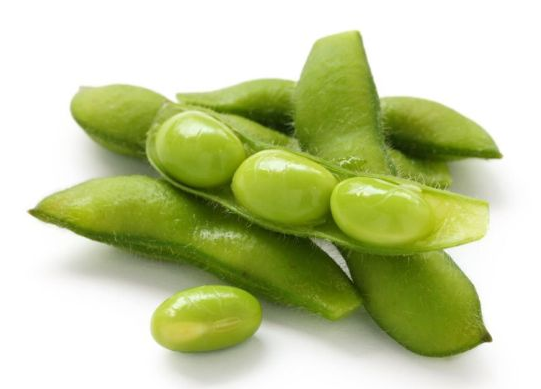 If you are cooking edamame, save a couple of the greenish soybeans and steam them until they soften a bit. Feed your dog one to five beans. Make sure to remove them of their shell and do not add salt. Also, bear in mind to offer your furry pet small beans, you don’t want him/her to choke on them. Beans that have been cooked or steamed allow the bean to be more soft and pose less of a choking hazard.